This is not an easy study but it avoids technical theological language as much as possible and carefully defines theological terms when they are necessary. It is aimed at persons who are theologically curious but not theologically trained. 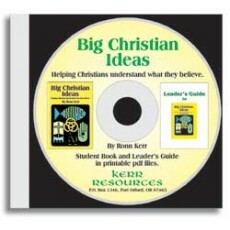 In the classroom, Big Christian Ideas evokes animated discussion as students compare ideas, contrast their positions and, ultimately, affirm the variety of ideas they share.